the heavens, heartgrey, must be near. T Sprachgitter | Speech-grille] Also title of volume. Celan received a postcard dated “Whitsuntide 1957” (6.9.1957) from Günther Neske with the image of the confessional screen (the Sprechgitter) of the Saint Clare covent in Pfullingen (Württemberg); the text turned around Celan’s intention of publishing his next book with Neske. Cf. marginal mark in Jean-Paul’s Kampaner Thal: “… unter dem tiefer einsinkenden Gewitter schlugen die Nachtigallen lauter, gleichsam als lebendige Gewitterstürmer, hinter blühenden Sprachgittern |… under the fast approaching storm the nightingales raised their voices, as if they were living lightning stormers, behind blooming speech-grilles.” (Bd. 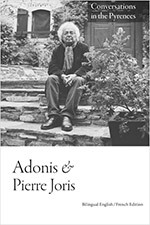 42/43, S. 20; my translation, as the available English translation avoids “Sprachgittern” by translating it as “hedges.”) Celan told Demus that those were the two inspirations for the title. He wrote his friend Joachim Seng, “I tell myself that in “Sprachgitter” the existential, the difficulty of all speaking (to one another) and at the same time the structure of that speaking is what counts” (Gedichte 643). 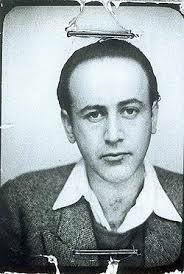 17 pools] the German word is “Lachen.” Marjorie Perloff writes in “‘Sound Scraps, Vision Scraps’: Paul Celan’s Poetic Practice:” “Lachen, in this context, has the primary meaning of puddles or pools: two gray pools of water blot the flagstones. But Lachen also means “notches”—the stones are notched with the sign of the two unknown strangers–and in the singular, the noun “Lachen” is the common word “laughter”—in this case, a mirthless, hollow chuckle of sorts. In all three cases, the flagstones reflect the “heartgray” condition of the lovers: the desire for communion—with hidden priest? God? and especially the “you” who is his beloved—has failed.